It was announced by the UK government in 2018 that all drinks containers in England, whether plastic, glass or metal, will be covered by a deposit return scheme (DRS). Consumers are expected to return their bottles for a small monetary value or perk, once returned retailers are responsible for the recycling of the containers. Whilst the new DRS is sill subject to consultation, many companies are getting ahead of the curve, with one UK retailer recycling over 310,000 bottles in just approximately 8 months. 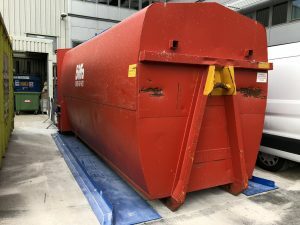 Greenbank has a baler specially designed for such materials and their potential fluids, the baler comes sealed as standard and with a specialised drainage system. 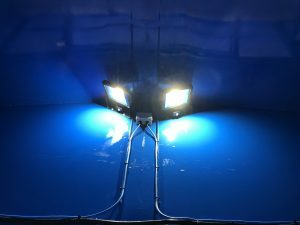 In addition, the machine can be galvanised to prevent corrosion. Adrian Saltmarsh, Greenbank’s Technical Sales Consultant, is on hand to answer any queries you may have. We are heading rapidly towards the end of the year and Christmas is clearly visible on the horizon. With 2019 just around the corner it seems only appropriate to tell you all about the latest addition to Greenbank Waste Solutions. The Wolfpak WP30 is the compactor to feature at every Council Household site (known to residentials as the tip)! But what makes this machine so special? Let’s investigate. Quite simply, a compactor is a device or machine designed to reduce the size of materials and in this case, waste. A good compactor aims to reduce the volume of waste meaning companies can load more, produce more and potentially sell on recyclable bales. Can you give us a brief overview of the Wolfpak WP30? Absolutely! This is a mobile compactor, ideally placed on any ground that’s firm. With many household waste centres requiring disposal at ground level, this makes the WP30 ideal. What kinds of waste can be added? This compactor has been specifically designed to deal with large amounts of waste. 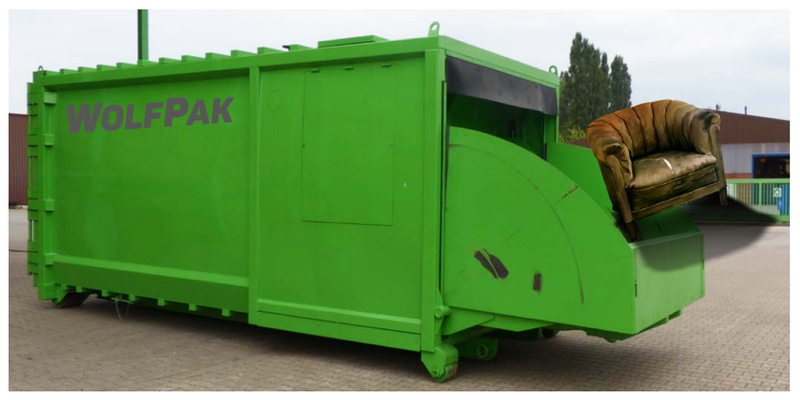 Bulky waste is not a problem and the Wolfpak will comfortably handle items such as a three piece suite, pallets and even substantial garden waste. 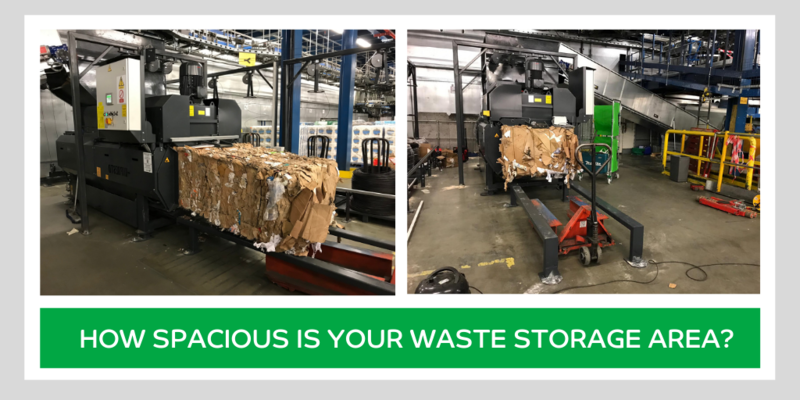 Standard waste such as copious amounts of XXL cardboard boxes are no problem for this machine and similar dry waste will also compact accordingly. 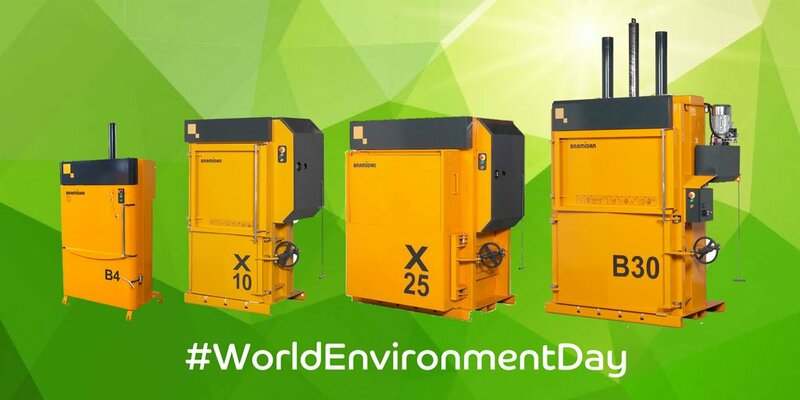 With the ability to work conveniently, timely and economically across a whole range of household waste, we draw your attention once again to the fact the Wolfpak WP30 is the go-to compactor for household waste centres. We have already mentioned that the WP30 has the ability to compact large amounts of bulky waste. This feature in itself is enough to encourage further research. There are of course, further benefits. When placed on ground level, the low feeding opening makes this machine very easy to load.The low loading height and large loading apertures make this safe and easy for the public to use also. Of course once full, the WP30 will require emptying. An expanding roof makes this process straightforward every time. Prefer a maintenance free press chamber? This compactor is equipped. Finally, you will notice this machine offers a rib-free structure. You’re immediately met with a smooth surface where advertisements can be placed. Can we choose a specific colour? Yes, you can choose a colour. We adhere to safety rules and regulations at all times as well as ensuring a good small footprint. We use lead and chromium free paints on all Wolfpak WP30 compactors. Moving towards 2019 we foresee this compactor to be the go-to model. It’s smooth design, mobile ability and easy feeding make it ideal for household waste. To discuss this machine in more detail, please get in touch with our specialist team. Thanks to GDPR regulations your company is responsible for the proper handling of confidential data, ensuring that it is both stored and (where necessary) destroyed correctly. We held a Q&A with our Technical Sales Consultant, Adrian Saltmarsh to find out more about confidential shredding. 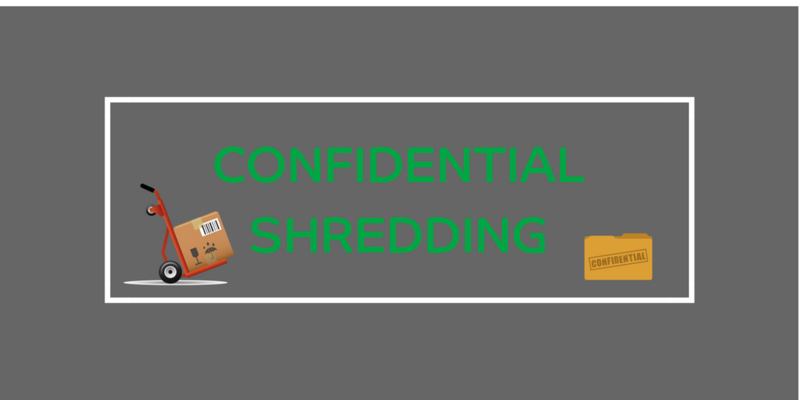 What sector would you say would benefit most from confidential shredding? It’s definitely worth considering within all sectors if you handle customer data, although from recent experience the retail and e commerce sector has been most affected. Can shredders be added to existing equipment? Yes, a shredder can be a small stand alone unit or integrated into a larger waste system. 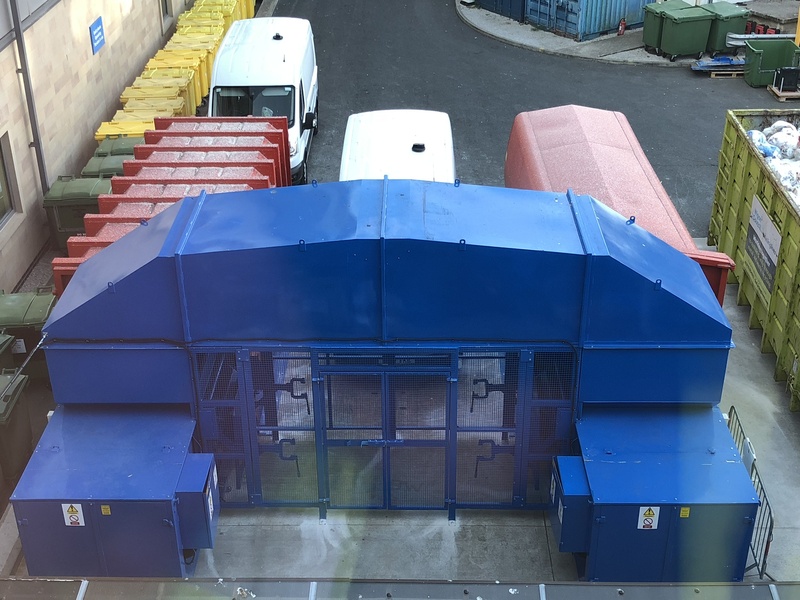 The shredded material can be either collected in a bag and disposed of or baled, on a larger system the shred can fall directly onto a conveyor or into a baler. Yes, shredded paper bales very well in the correct machine, shredded paper can often cause a mess, we therefore supply bagging systems for horizontal balers. What materials can I shred? Almost any material can be shredded. 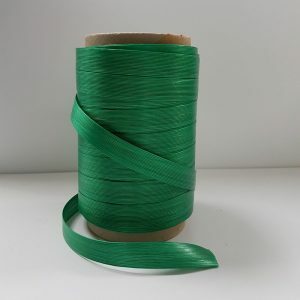 Normally polythene or cardboard that carry customer name and address labels are the largest consideration when conforming to GDPR regulations. All bespoke situations have a solution somewhere. With a wide range of standard options it gives scope to build a bespoke unit to fit within your application. 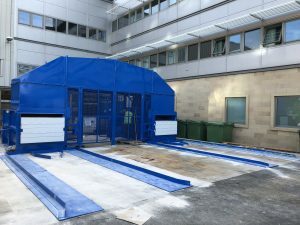 Greenbank were recently contacted by a hospital in the North West of England, to create a bespoke waste management solution. 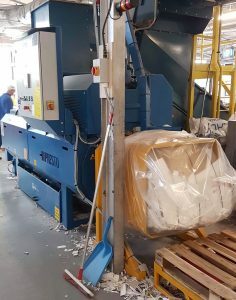 Our customer required two units to compact their waste fed via a single touch button controlled bin lifter, they also desired many additional features such as lights placed within the cages, the control panel to be key operated for safety and security reasons and the machine maintenance panel hatches to be hinged for easy access. 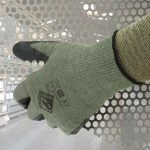 A CONNECT intelligence system that informs customers of skip level full notifications and of any breakdowns. This information is also sent directly to ourselves to reduce call out time with any future service breakdown call outs. Complete comprehensive use and fault finding training with operatives. Full length side panels from the base of the machine to the floor to prevent waste from blowing underneath and aid cleaning up the area. 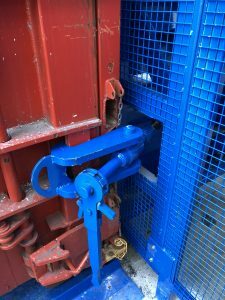 We installed end ratchet container clamps to allow the skip driver to remove the container without the need for access in to the bin lift cage. 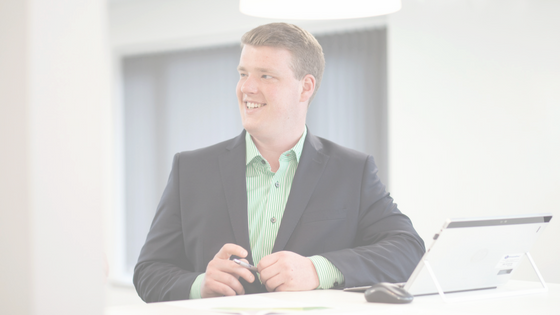 Congratulations to our Head of Service, Murray Johnston, on completing his Advanced Business Management course! The Advanced Business Management course trains students in the science of business management including the study of the key business topic areas in order to become effective business leaders. Murray completed modules on Leadership, Management, Finance, Operations, Sales and Marketing. The course lasted 15 months in which Murray spent many early morning and late nights completing. 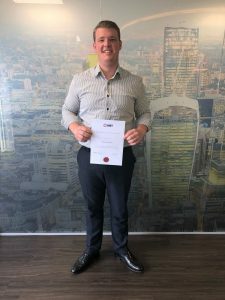 Speaking about the ABM course, Murray Johnston, said: “This 15 month gruelling course has taught me many life lessons especially in the business area. Each module had to be related back to Greenbank so it was easy to put changes into practice straight away. It has set me up extremely well for future challenges and I cant wait to put these into practice. The best module was definitely the one on leadership it taught me what my leadership style is and how to make the most of the strengths I have. Your next question may be, if people aren’t using double chamber balers how are they dealing with two waste steams? 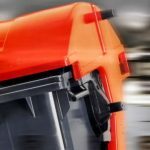 Vertical balers benefit from simple control panels, automatic eject systems and low noise levels, which make life easier and safer for operators. 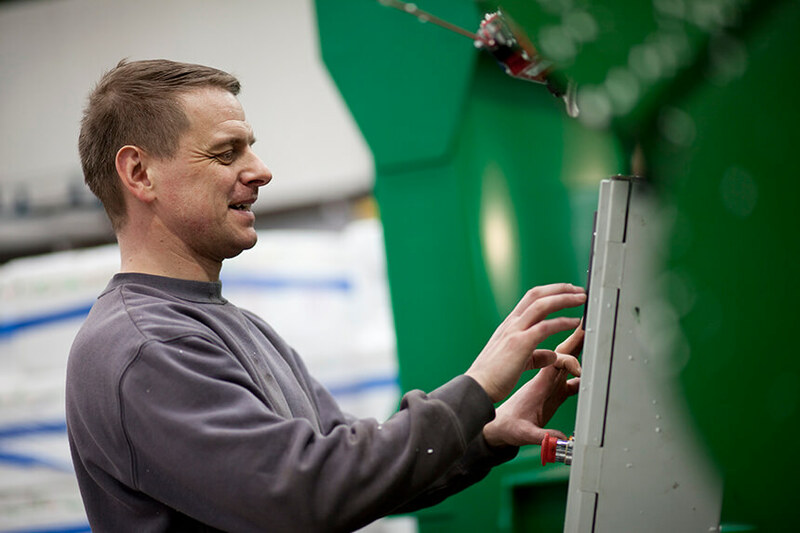 To operate our range of vertical balers, only the baler door needs to close, there is no sliding of the press head which reduces the risk of strain injuries. Where space is limited on site, two smaller units can be me efficiently positing in tight corners where the larger twin machine may not fit. The main benefit of having two vertical balers as opposed to a double chamber baler is the ability to load waste simultaneously. This world environment day its time for a change. World Environment Day occurs on the 5th of June every year and is the United Nation’s principal vehicle for encouraging awareness and action for the protection of our environment. First held in 1974, it has been a flagship campaign for raising awareness on emerging environmental issues, this year the campaign is targeting plastic pollution. People around the world are taking notice of plastic pollution. And more and more, they’re pledging to do something about it. 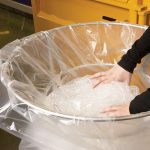 We’ve helped numerous companies tackle their plastic waste from polythene to PET, we have machines suitable for your application. Greenbank’s range of vertical balers are perfect for soft plastics such as LDPE and PP strapping whilst our X-Range balers provide the ideal solution for hard plastics such as HDPE and PET. As illustrated above, our standard automatic channel baler is significantly smaller than that of our competitors, yet has the same performance, throughput per hour and bale size as the comparisons models. Greenbank’s HPK 750 H fully automatic baler, is a side tying machine. In general, such machines take up more space due to the tying needles that are placed at the side of the machine. Greenbank’s HPK 750 H has a unique tying mechanism which doesn’t require needles (as seen above). This machine is perfect for compacting delicate items such as shredded paper, tin cans and plastic bottles. Our compact range of balers are the perfect solution for warehouse facilities, distribution centres and manufacturing outlets. We’re proud to announce our employee of the month for April 2018, Scott Ward! Scott is Greenbank’s stock controller, you can usually find him manoeuvring machines around the workshop and managing our goods in and out. Greenbank’s employee of the month is decided by our staff. Each employee gets two votes, which they use to choose who within the company they believe has worked the hardest that month. The votes must be based on our statement of values. The person with the most votes receives the title of employee of the month and spins our wheel of fortune to reveal their chosen prize. Well done Scott, and thanks for all your hard work! If one of our members of staff has gone the extra mile for you, let Laura know (laura.mohan@greenbankgroup.net) and they might be on their way to winning our next employee of the month!